And although working from home has its perks, it also has its downsides. While it is convenient to have your office just down the hall, and not having to commute for 2 hours to get to work; or not having to spend huge amounts of cash for your fancy work outfit; the tendencies to stay in pajamas all day and to go reclusive at some point has become anecdotal of the home-based freelancers. So, it’s never been more important than now to think thoroughly about your work habits and how they affect your overall health. It’s not that difficult – you’ll only have to pay attention to yourself for a change, stay healthy and fit, and stay on task at all times! 1. THE most important tip – set up a separate space for your office. It really doesn’t have to be very spacious; it can be just a desk in the corner of a living room. Just make sure that when you’re working – you’re not doing it from your bed or a couch. Have that space designated only for work. Why is it important to have a specially dedicated work area? First of all, you’ll concentrate more easily; practically the moment you enter your work space, which will result in better productivity. Plus, people are more willing to be understanding of your work needs when you have a dedicated work space. Otherwise, they tend to interrupt you when you’re in the middle of a project, because, ‘Oh good, you’re still in pajamas – you haven’t started yet.’ And of course, you won’t be tempted to turn on the TV for a few minutes when you’re at your desk, away from the couch. 2. Make your work space – comfortable. And, in all possible ways – from having a good, ergonomic chair and a suitable desk, to creating your own pleasant work atmosphere. A good chair and desk are of crucial importance for keeping you properly aligned during long hours of work. The whole philosophy exists about how to choose the best possible desk and char. As does the philosophy concerning the environment in which you work. Creating a soothing work atmosphere, maybe with some scented candles around your desk or positioning your desk near the window that has a beautiful view over the park or listening to some nice, quiet music, can significantly reduce the level of stress that comes with any work. So, give it go! 3. Dress as if you’re going to the office. This may sound a bit silly, but it’s of crucial importance for anyone who works from home. By doing this you’re not only taking care of the physical aspect of yourself, but of your mental health as well. Think about it – you feel better with yourself, more confident, more competent at whatever you’re working on when you’re dressed nicely. This also positively impacts your other health behaviors, such as exercise and healthy eating. 4. Eat healthy snacks in your break time. Working from home means working 10 steps from your kitchen and it can be so tempting to grab a chocolate or a cake at any point. I hardly need to tell you that this can lead to overweightness, especially if you’re not into exercising. To reduce the temptation, keep some fresh fruits and veggies in your kitchen. Not only you won’t get fat, your entire body will know the best to process all the minerals and vitamins you eat. These were some “outside” rules; now let’s talk about some organizational ones. 5. Get up from your desk every hour for a few minutes, or at least once a day. Yes, I understand – your name is John and you’re a workaholic. But, think about it this way – if you stand up and stretch from time to time it will clear your thoughts, allowing you to concentrate better and be more productive. Also, make sure to go outside at least once a day, to enjoy the benefits of fresh air and sunshine, even if it is just to the nearest grocery store – it WILL make the difference. If you’re one of those people who get carried away in whatever you’re doing, set a timer or a reminder app to ring every hour and remind you to get up from the desk and stretch. Your back, neck and legs will be grateful! 6. Schedule your daily responsibilities and more importantly – stick to your plan. Most of my friends envy me for being able to work from home, imagining that I can have a break whenever I want to or that I get to sleep long or work odd hours. And, this actually was the case when I ventured on this work-from-home path. However, pretty soon I found myself completely lost in my responsibilities and it was hard to keep track of everything. So, the best way is to make a schedule, which will benefit you in more ways than one. First of all, it will help you stay focused when you need to; make you more productive and will influence the quality of your work in a good way. Make sure however, to include not just your work-related responsibilities, but also schedule your workouts and meetings, both work related and social. Spending long hours at your desk can seriously damage your health, especially your back and neck; it can slow down your metabolism and cause all sorts of other health complications… That’s why it is important to ‘move’ whenever you can, even just to get a glass of water; but even better is to dedicate at least half an hour or an hour for a workout, jogging, going to the gym, practicing yoga, whatever works best for you. You can even arrange to meet with friends or business associates at the gym, so you’ll kill two birds with one stone. 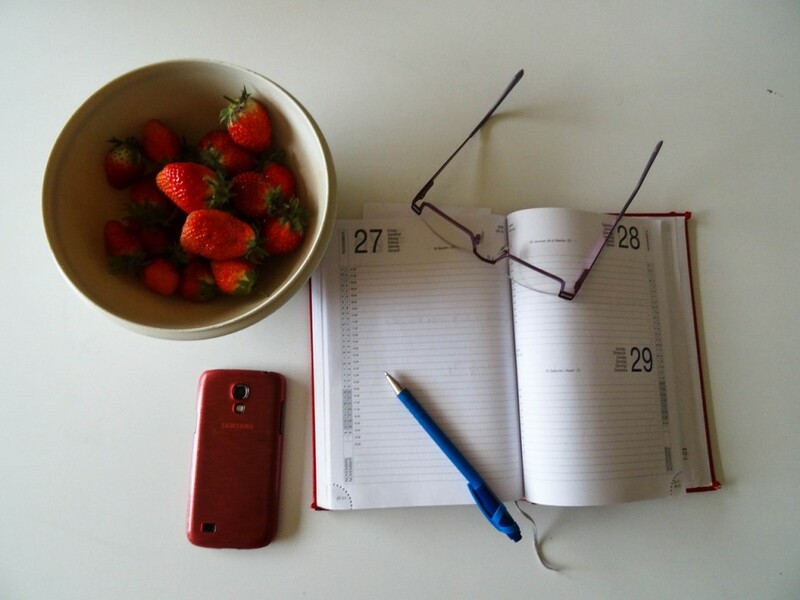 Last but certainly not least – the vital part of planning your daily activities is not just to make a plan; you’ll actually need to stick to your plan no matter what in order to truly benefit from it. 7. The importance of maintaining the life-work balance and logging your work hours. One thing I’ve learned in life is that if you show people that you’re willing to make the extra mile, they will take the offer! So, before you commit to 24-hour work time, think about your priorities. Respect your time and the others will respect it too. Most of the time people are quite nice and willing to meet you half way, so you’re really not losing anything if you go and have a great weekend with your family/friends. If anything, it will greatly benefit you and the quality of your work if you start your week refreshed and focused. To help you with this, it’s a good idea to track your hours, so your work hours don’t mix with your personal time.